Editor’s Note: This is the first of two posts inspired by this year’s Summer Olympics. 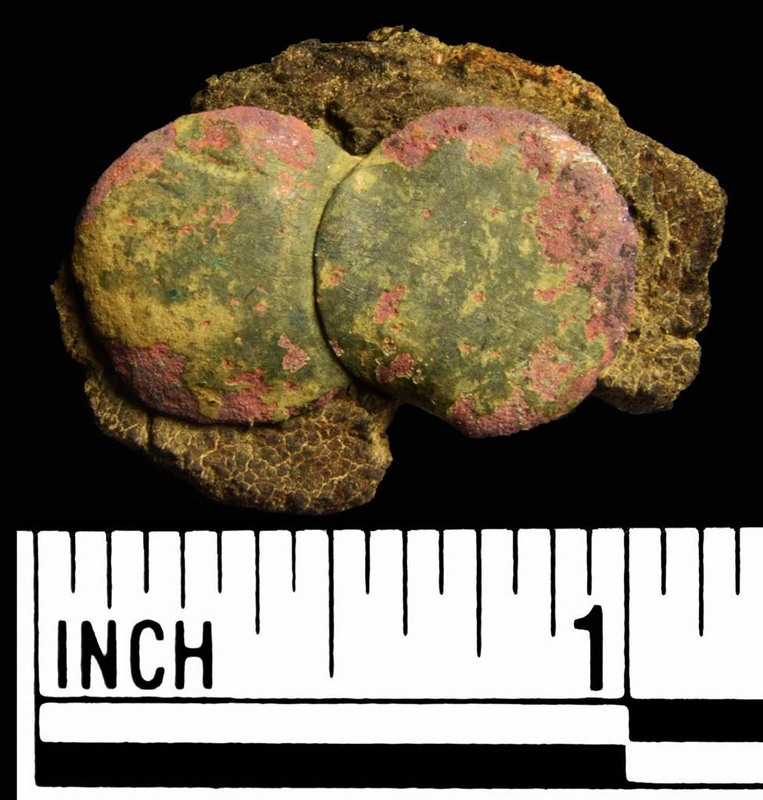 This week, it’s an equestrian-inspired post from Archaeologist Laura Galke, who briefly looks at some of the ornaments found on 18th century horse tack. What an impressive sight the Washingtons made as they rode their horses with bridles and straps embellished with these shiny brass decorations. Today, people who study these decorations refer to them as “mounts” or “leather ornaments.” They were used to ornament the leather straps, nosebands, harnesses, and reins of horses. Individual riders enjoyed these, but they also could adorn steeds that pulled carriages. 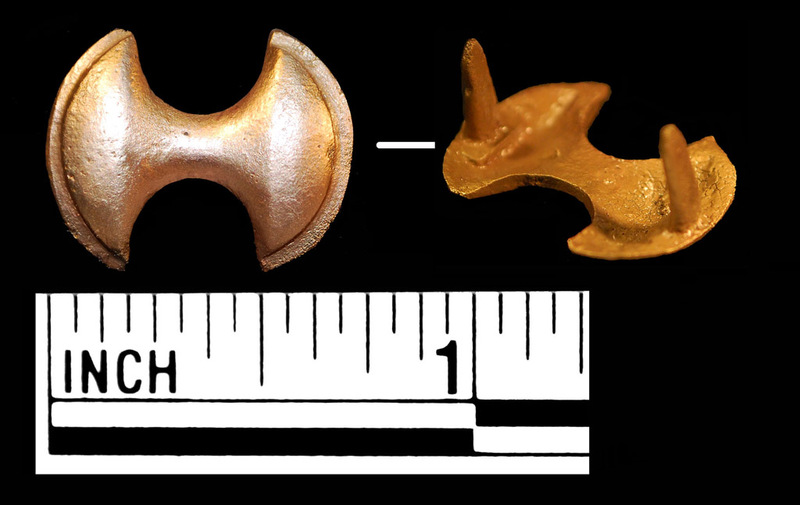 About twenty of these ornaments have been found during recent excavations at Ferry Farm. Ferry Farm leather ornaments dating from the 1700s. The Harwoods, Strothers or the Washingtons may have purchased these. 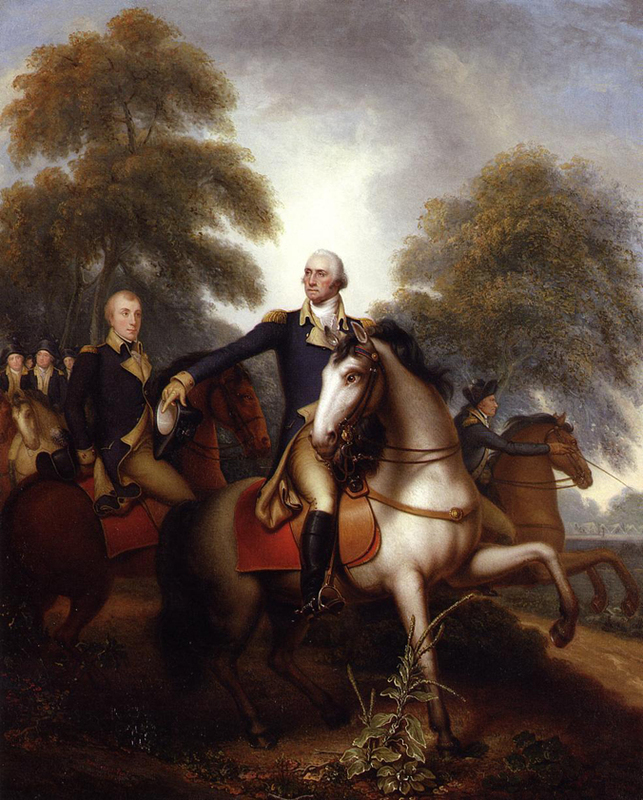 Colonial Virginians, including George Washington, took pride in owning horses. Adorning their stallions with such flashy decorations attracted attention to their owners as they journeyed through the streets, on the ferries, and along the trails of Colonial Virginia and beyond. It was also a great way to draw attention to a favorite steed or an elegant carriage in a public setting. Unlike household adornments – which were esteemed by an intimate circle of family, friends, and enslaved attendants – investments in these leather ornaments were appreciated by a wider audience as rider and horse proudly paraded about the colony and region. This copper-alloy mount dates from the mid-to-late 1700s. In Colonial households, men typically purchased these showy trimmings. Indeed, they bought most things associated with the stable: horses or transportation. Horse milliners were the source for such tack. However, purchases related to the health of livestock, such as medicine, was the responsibility of women. Copper naturally repels the bacteria that break down organic materials such as leather. These mid-to-late 1700s Washington family ornaments have actually preserved a small portion of the original leather straps they adorned. George Washington was an accomplished rider praised by Thomas Jefferson as “the best horseman of his age, and the most graceful figure that could be seen on horseback.” Leather ornaments and mounts like those excavated at Ferry Farm helped to create that graceful appearance for George and all horse-loving Virginians. 2004 Harness Pendants and Associated Fittings. In The Medieval Horse and its Equipment, c. 1150 – c. 1450, edited by John Clark, pp. 61-71. The Boydell Press, Woodbridge. 1992 The Illustrated Guide to Horse Tack. David and Charles. Milanostampa, Brunel House Newton Abbot Devon. 1991 A Guide to Artifacts of Colonial America. Vintage Books, New York. 2009 Behind Closed Doors: At Home in Georgian England. Yale University Press, New Haven.